The hype for Avengers: Endgame has reached a fever pitch. Tickets for the highly-anticipated follow-up to last year’s Infinity War finally went on pre-sale Tuesday, which pretty much ended up breaking the internet. Fans were met with outragelously long wait times and server crashes while attempting to get their tickets for the film, which eventually broke the previous record for most pre-sales in a 24-hour period. It’s also worth adding that it accomplished the feat in just six hours, beating out 2015’s Star Wars: The Force Awakens for the honor. But not everyone attempting to get tickets are actually intending to see the film on opening day. As Screen Crush poins out, scalpers have begun selling opening weekend tickets to the movie on eBay. Numerous listings have started springing up on the bidding site, with one person in Chicago asking for $5000 for four tickets they purchased for opening night. Another seller in New York City is outdoing them by offering just two tickets for an astonishing $4,999. Talk about audacious. Other sellers are listing their tickets for considerably less, with many offering up their opening night tickets for somewhere between $100 to $300. 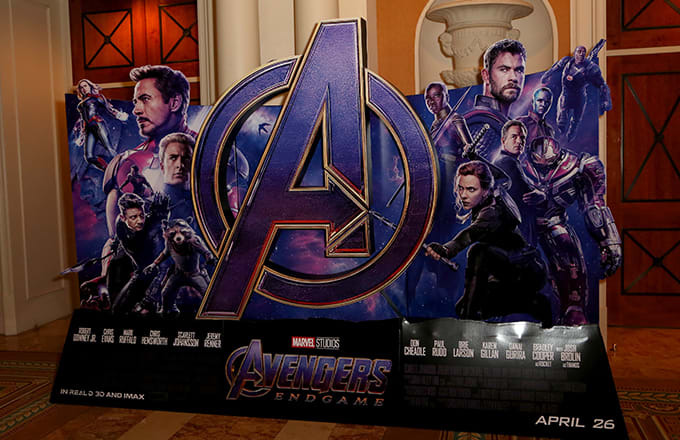 It’s clear that the thirst to see how this chapter of the Marvel Cinematic Universe ends is at an all-time high, although it’s unclear if anyone is willing to spend $2500 on a single ticket when they could just wait a few more days.